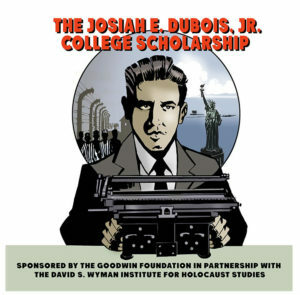 Controversy continues to swirl around the revelations that during the 1930s, Harvard University president James Conant forged friendly ties with senior Nazi officials and Nazi-controlled universities, and even urged a major U.S. corporation not to hire a German Jewish refugee scientist because he was “very definitely of the Jewish type.” At a recent Boston University conference sponsored by the David S. Wyman Institute for Holocaust Studies, Prof. Stephen Norwood documented the shameful record of the leader of America’s most prestigious university–a record of helping to legitimize the evil Nazi regime. Conant’s contemporary defenders assert that he should not be singled out for criticism, since antisemitism was so common in the United States in those days, even in the upper echelons of the academic world. But the fact is that there were other university presidents who did not act as Conant did. Consider the case of Dr. Frank P. Graham, president of the University of North Carolina from 1930 to 1949. Graham spoke out frequently against racism and anti-Semitism in the United States. He also ordered the UNC Medical School, in 1934, to abolish its quota on Jewish students. (Contrast that with Harvard’s notorious Jewish quota.) Despite the resignation of the school’s dean and widespread criticism from physicians around the state, Graham stood his ground. Dr. Graham was the lead witness to testify on behalf of the 1939 Wagner-Rogers bill, legislation which would have admitted 20,000 German Jewish refugee children to the United States. He also publicly took the British government to task for restricting the admission of Jewish refugees to Palestine. When news of the Nazi genocide was confirmed, in late 1942, Graham became a leading supporter of the Bergson Group, a maverick Jewish political action committee which sought U.S. government intervention against the Holocaust. The Bergson activists lobbied Congress, sponsored hundreds of full-page newspaper advertisements, and organized public rallies, including a march by four hundred rabbis to the White House in 1943. Graham’s name appeared on some of those newspaper ads, and he served as co-chair of the group’s 1944 Emergency Conference to Save the Jewish People of Europe. Graham’s positions were all the more impressive when one considers the environment in which he functioned. One of the most prominent political voices in North Carolina during those years was U.S. Senator Robert R. Reynolds, an anti-immigration extremist who associated with prominent bigots such as the Rev. Charles Coughlin and fought tooth and nail to keep Jewish refugees from coming to America. Having to contend with “the Tar Heel Fuehrer” –as critics dubbed Reynolds– was no pleasant task for Graham. Moreover, Graham was a loyal Democrat and a strong supporter of FDR’s New Deal policies. Challenging Roosevelt on the Jewish refugee issue strained friendships and endangered political relationships. But for Graham, morality was the foundation of his academic mission. University presidents are uniquely positioned to shape public attitudes. As the pillars of America’s educational system, they are looked upon as exemplars for our society, and they therefore bear a moral responsibility to speak out against injustice–especially when it may mean bucking the tide. Two years ago, Harvard president Lawrence Summers did just that. He spoke out strongly against the rise of antisemitism on American college campuses, and he did not shy away from pointing out that in some cases, hostility to Israel is in fact a mask for old fashioned anti-Jewish bigotry. It would be in keeping with Summers’s already-demonstrated leadership in confronting academic antisemitism for him now to help Harvard confront a regrettable part of its past. Sixty years after the Holocaust, there is a growing trend of governments, businesses, and other institutions coming to terms with their own shameful words and deeds during the Nazi era. In this spirit, Harvard should emulate the legacy of leaders like Dr. Frank Graham and not of James Conant.